In lieu of Quote Monday, I am honoring one of the biggest Star Wars fans I know, The Sis, on this day. I would like to take credit for her appreciation (I did love it first), but she long surpassed me in her devotion, and has taken it to a whole new level. It would have been nice to have the day off and celebrate properly with a marathon, a little gaming, and themed foods such as Attack of the Scones and such, but we’ll have to settle for well wishes instead. Maybe next year. 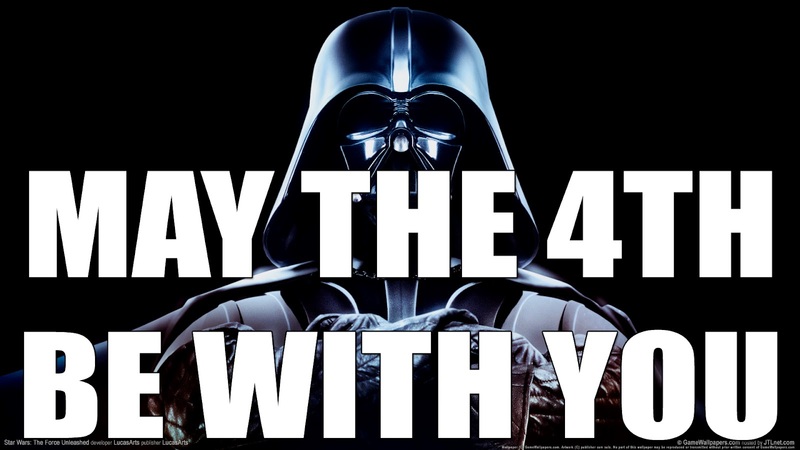 Happy Star Wars Day, my fellow geeks! And May the 4th be with you! And just in case, enjoy the subsequent days. Yes, I realize the images are all of Darth Vader, because….well, why not?! 🙂 Best villain ever.